I am a lecturer at IPU New Zealand Tertiary Institute. My current research uses a Pacific-oriented and culturally-centred narrative methodology to engage with the Pacific people’s conceptualizations of illness, wellness and healing. The research is implemented through three pathways: Pacific media framing of health, health discourse in developing and developed worlds, and conceptual metaphors of health. Dr Gounder’s overarching research theme is ‘Pacific narrative constructions’. Her research has expanded from the platform of Pacific people’s narrativized identity conceptualizations at the personal level to narratives within public spheres on conceptualizations and lived experiences of illness and healing as she seeks to make a difference in individual and collective lives. Her current research investigates how the lives of Pasifika people can be improved through a greater utilization of cultural health knowledge. This is reflected in her research practices, as she aims to use data collection methods such as Talanoa, based on Pacific cultural ways of being. Simultaneously, she aims to demonstrate how a better understanding of Pacific ways of being would improve population health for all. Dr Gounder’s research has achieved international recognition. Her PhD thesis on South Pacific diasporic communities’ narrative constructions was published as a monograph with an internationally renowned publisher in the field of linguistics Following its success, she received a second contract to produce an edited book on narratives and identity construction in the Pacific Islands. She has also been invited to contribute to international conferences and journals on South Pacific diasporas. In 2018 she has been invited to participate in UNESCO roundtable discussions in Suriname on world memory and heritage. Dr Gounder’s research has also been recognized through fellowships and positions. 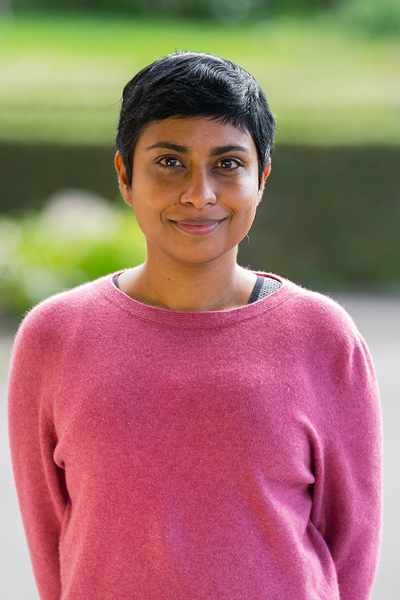 She has been a Faculty of Arts and Social Sciences Postdoctoral Fellow in Oceanic Linguistics at The University of Waikato, a Research Associate at The University of Waikato, and The Centre for Advancement of the Scholarship of Teaching and Learning Visiting Scholar at Avondale College, Sydney. She has also been invited to present at universities and colleges in New Zealand and Australia. Her recent research into Pacific health has also been recognized through her appointment as a strategic advisor to an Australasian Pacific-focused health board.